Dr Fiona Kerslake grew up on a sheep farm in Tasmania, but after completing her Honours in sheep drench efficacy, found it was Pinot noir wine which held her intrigue. After living in New Zealand for 18 months, her interest intensified to the point of commencing her PhD studies at UTAS with an industry embedded project. 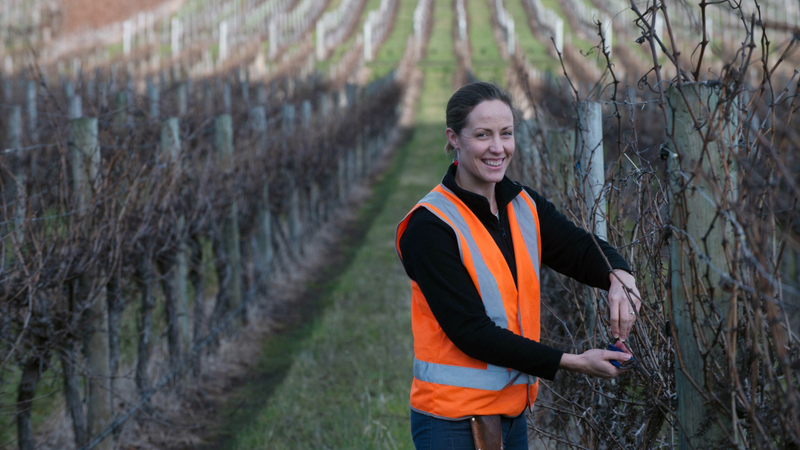 Since completing her doctorate, Fiona has remained with the Tasmanian Institute of Agriculture at UTAS and has built and maintained outstanding relationships with the Australian wine industry, leading to both industry and RDC funded projects. Fiona has investigated production practices from grape to glass, or viticultural and oenological research, from Pinot noir to sparkling wine. Most recently her research has focussed on sparkling wine production processes and how these can be streamlined for increased efficiencies, whilst maintaining or improving quality. Her success with sparkling wine attracted the attention of the craft cider industry, who requested she apply this research to cider as well. As a result, she is one of two researchers who instigated an internationally recognised cider research program in Tasmania. Fiona gained international experience after working as a viticultural research intern for E&J Gallo in California, the world's largest wine company. She has been invited to the UK, Portugal, France, Canada, USA, Italy and most recently Estonia to present her research outcomes and to gather more knowledge to bring back and share with relevant Australian industries.